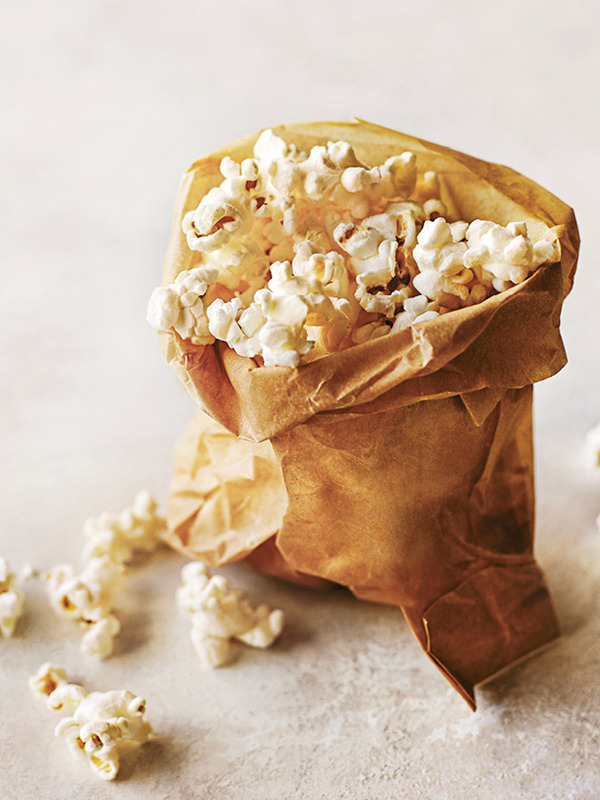 Place 2 tablespoons of the kernels into 1 of the paper bags. Fold the top of the bag over three times, then fold in the corners to secure (this will help to keep the popcorn safely in the bag while it cooks). Repeat with the remaining popcorn and paper bags. Place the popcorn bags, 1 at a time, in the microwave on high for 2 minutes each or until you hear (with sharp ears) that the popping has slowed to around 1 pop every 3 seconds.